Dr Mukherjee is a cancer specialist and the writer of the 'Emperor of all Maladies' (a biography of cancer) which won the Pulitzer Prize, and by all accounts is an excellent book. But its subject makes it one I'd have to steel myself to read. The Gene, on the other hand, seemed like it could be emotionally easier. 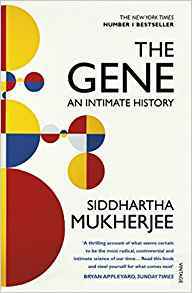 It interposes Siddhartha's family stories (on the incidence of schizophrenia) with interesting details of a story that is supect is already quite widely known (the history of the discovery of the gene). Despite this familiarity, Dr Mukherjee still manages to find new points of interest and impressively evokes the personalities involved. What is it about the discovery of evolution and genetics that makes it such a fascinating to me, and I guess many other people? I suppose it's because it tells us more about what we are. I never tire of reading about it. I must have been reading this book for months now. But then it is quite thick and it's something I tend to read on the phone in my spare minutes. Since it consists of a short interviews with various people, it's a great way of spending a few spare minutes. 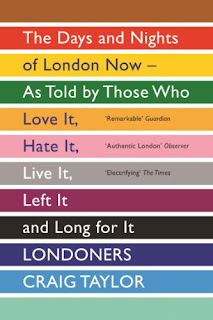 It's also a good way of conveying how it is to live in a city. There are taxi drivers, policemen, people who have migrated in and out, bouncers - the whole range of human life. I'm really enjoying it and learn something new every time I dip in. Trolllope's writing is quite different from the modern style - as well as the 'showing' there is also a lot of 'telling' by the narrator - even so the character build to something real and entertaining. The theme of the book is financial corruption. A businessman of uncertain pedigree is rich from schemes that are financed by money that is owed rather than actually owned, which sounds strikingly familiar and puts me in mind of the London property market. House owners are rich, but only on paper. This audiobook is narrated by Timothy West which adds to the pleasure. Maigret at the Crossroads based on novels by Georges Simenon with screenplay by Stewart Harcourt. Ideal TV crime drama with suitably complicated plots, lots of atmosphere in the setting post-war France and, most importantly, starring Rowan Atkinson as the eponymous Jules Maigret. When I first heard that Rowan Atkinson was playing the lead I couldn't imagine it would work - he is too much Bean or Blackadder, but once he opened his mouth I was converted. His natural voice, it turns out, is a revelation - so deep and warm to hear it is an unexpected pleasure. I wonder if he's ever narrated an audiobook. 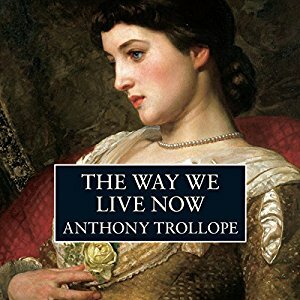 I've been meaning to read Anthony Trollope. Thanks for sharing, and for visiting my blog. I'm reading Hamilton. Who knows how long it will take me to read this one? 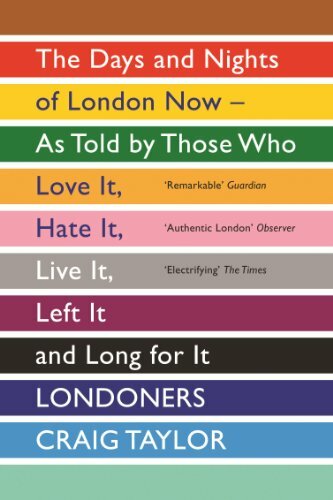 It sounds like your London book.